The vedic cult encircled around sacrificial performances along with the chanting of vedic hymns and offering of oblations into sacrificial fire. With the advent of Buddhistic and Upanishadic philosophy, the jnanakanda replaced the vedic Karmakanda. At least five centuries before Christ, the theistic Bhagavata Cult stressed the importance, merits and superiority of devotional worship rather than of vedic sacrifices. The wide spread Pancaratra school of Vaisnavism maintained individuality in the state of final liberation in order to realise and relish the bliss of Bhagavan. The Vyuha theory of the Pancaratra, although originated in Kashmere, found its subsequent development in South India, where a devotional approach to Indian Religion was receiving a definite shape in that period. Truly, the Bhakti of the early Bhagavatas, as cultured in the Bhagavadgita, was inspired by the feeling of love. In all probability, the concept of Bodhisattva of the Buddhism gave rise to the idea of love and compassion to the concept of Bhakti which further developed in South India first of all. The idea of a God, having a strong feeling of love for his devotee and to whom the devotee returns the same, finds its first and full expression in the writings of Tamil devotees viz. Nayanars and Alvars. The philosophy of Bhakti gradually influenced the religious outlook of the ancient Hindus and completely metamorphosed Indian Religion. Even Sankaracarya, a brilliant metaphysician and an advocate of the theory of liberation by the path of knowledge, composed several devotional poems in Sanskrit. In this verse five examples are proposed to define Bhakti. The first four examples form the prima facie view, while the last one establishes the definition of Bhakti. (1) In the first example Bhakti is compared with the seed of the 'ankola' tree. The seeds of 'ankola' automatically creep towards the root of the tree and cling to it. The peculiarity of the tree is that its seeds, when fall on the ground, are attracted by the root of this tree. Likewise, God being all powerful will Himself attract Jivatman unto Him; there was no necessity of devotion and devotional observances. The example is rejected on the simpleground that the seeds can cling to the root of the tree only so long they remain under the shadow of the tree. As such a devotee can also realise only when he remains in the vibrations of God (Isvara-pranidhana). (2) The second example is that of a needle and magnet: As a needle approaches the magnet. In fact, the magnet attracts the needle by its magnetic power. God will likewise attract Jivatman by his own power and there was no need of devotion. This example is also rejected on the logic that the magnet attracts the needle so long the needle remains within the magnetic range. (3) A chaste woman forms the third example of Bhakti: As a chaste woman constantly thinks of her husband. Similarly, if a devotee constantly remembers God; does it form the definition of Bhakti? The answer is 'No.' In the path of devotion, a devotee does not bear the idea of separation from God even for a moment while SW1, the most chaste woman, was physically separated from Rama for a long period. (4) The fourth example of the prima facie view is that of a creeper when a creeper completely encircles and fully covers the tree giving an impression to the observer of the existence of the creeper alone. Similarly when all the fluctuations of mind assume the shape of God; does it become Bhakti? The answer is still in negative on the ground that if the root of the creeper is cut by a knife, the creeper dries up quickly. The devotional impulse is also broken by the affliction of the mundane world. (5) Thus Sankaracarya rejects all the "first four examples given above to compare the concept of Bhakti and finally establishes the definition of Bhakti in the Siddhanta Paksa, giving the example of Ganges which constantly flows towards ocean where the Ganges ultimately get assimilated in the water of the ocean, abandoning its name, colour, form and quality. One cannot distinguish the water of Ganges by its name, colour and taste in the water of ocean. Similarly when the fluctuations of mind, abandoning all their objects of knowledge, permanently assume the shape of God and permanently remain in that state: This is the definition of Bhakti. Ramanuja (1017 to 1137 A.D.), writing Sanskrit commentaries on the Upanisads, the Brahmasutras and the Bhagavadgita, admitted the meaningfulness of the devotional ritual observances. He declared Bhakti (devotion) and Prapatti (surrender) as the best means of liberation. Only through intensive devotional love to Bhagavan Visnu, a devotee realises the relation of part and whole (amsamsibhava sambandha) between Jivatman and Paramatman, The former completely depends on the latter. The Visistadvaita doctrine of Ramanuja largely became responsible to influence most of the devotional sects of the medieval period. In the Tamil country two main devotional doctrinal divisions arose and became noteworthy, viz. (i) Nagalai (ii) Vadagalai, The Nagalai school emphasised devotion on an anology of monkey (markati Bhakti) explaining that as the she monkey carries her young child clinging to her breasts safe from one branch of the tree to another, the child monkey has not to make any effort but simply to remain clung to her mother-thus ritual observations on the part of devotee were sufficient enough to cross the cycle of birth and death and to attain liberation. The Vadagalai school preached the path of devotion on the analogy of cat (marjari Bhakti) ; as a cat, picking up her kittens in her teeth, carries from one room to another. The kittens do not make any effort; so when there is complete surrender God Himself takes care of the devotee who need not make any devotional effort on his part. These very basic doctrinal divisions were recognised as Vaidhi or Maryada, Pusti or Raganuga. I have much pleasure in writing the foreword on the D. Litt. 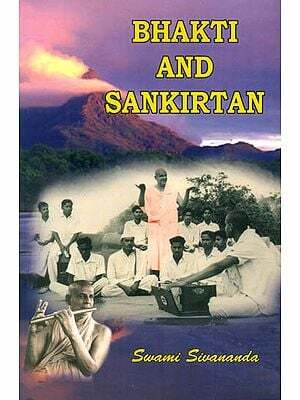 thesis entitled "The Bhagavata Bhakti Cult and Three Advaita Acaryas" by Dr. Ramnarayan Vyas. 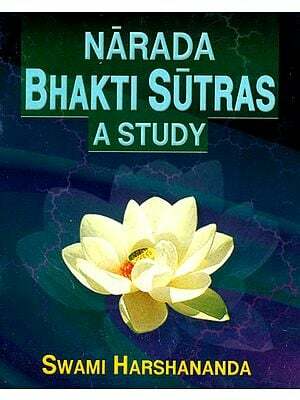 The concept of Bhakti and its indigenous growth with special reference to the Bhakti cult of the Bhagavata has been studied in a scholarly manner. 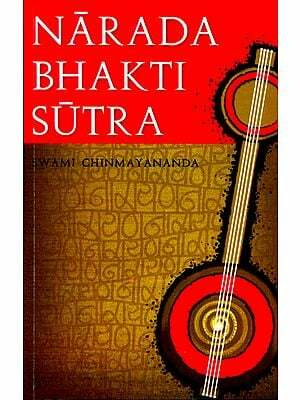 Dr. Vyas has dived deep to understand the concept of Bhakti as explained by Sankara, Ramanuja , Vallabha and others. He has supported the date of the Bhagavata Purana in the 9th century B.C. This date is, however, open to discussion. I congratulate Dr. Vyas for this important work on Bhakti and I hope this will well be received by the scholars interested in the philosophy of devotion. I feel pleasure in presenting this work before the learned readers. Bhakti is an important means of God-realization. Dialectically speaking, it represents a synthesis between jnana (knowledge) and karma (action). An intense attachment for the Lord needs both an intuitive knowledge of the Supreme and an active sense of service. Lord does not tolerate distance. It is the silken bond of devotion that draws a devotee towards the Lord and ultimately makes it possible for the former to identify himself completely with the latter, to merge his personality in the Lord because Bhakti is an attempt at discovering "not propositions but a presence." Though our modern world is predominantly a materialistic world, yet signs are emerging that point that slowly it is realizing the value of spiritual life that can be gained through the pathway of devotion. Popularity of the cult of 'Hare Krsna Movement' in the West is a sure sign of a change of attitude of the Western mind. Materialism has given us doubt on many items of luxury and mundane prosperity. But it has also given us thermonuclear weapons of war which have threatened the very existence of mankind. Under the grim shadow of universal destruction man is likely to turn to the Lord for security and peace. The present work may be found useful by all such people who seek light and life unaffected by darkness and gloom. I have added two appendices at the end. The first Appendix contains my study about the date of the composition of the Bhagavata, and the second Appendix gives an account of Indian Theism in brief. I hope that these additions will be found useful. I owe thanks to Dr. Rasik Vihari Joshi, Professor of Sanskrit, University of Delhi for writing a foreword; to Shri Jagdish Lal Shastri for revising and final print order of the book, Shri Nag Sharan Singh for personal interest in the publication and Shri Jai Prakash Sharma of Sharma Composing Agency for its speedy printing and neat work.